A couple of weeks ago I started working with a teacher at a local primary school. Her year 7 class had finished most of their science course for the year so we developed a short unit on classification that the students could investigate. There are differences within and between groups of organisms; classification helps to organise this diversity. Use simple taxonomic keys e.g. dichotomous keys to identify, sort and name organisms. We worked out a short teaching unit and this is attached. 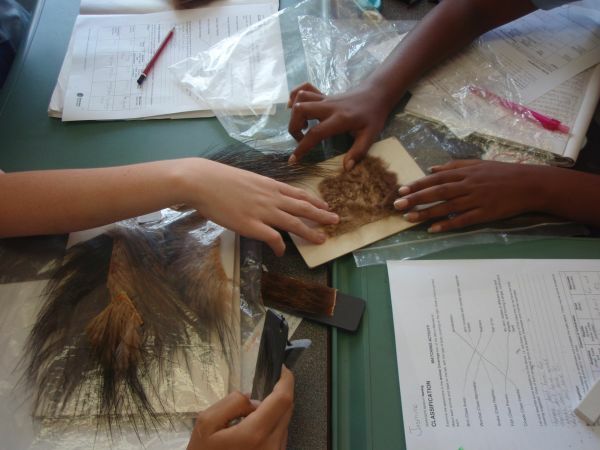 Students had a chance to examine the external coverings of some specimens such as bird feathers, mammalian fur, snake skin, crocodile skin, and fish skin. We discussed animals that had coverings different from most of their group. e.g. mammals that don’t have fur; fish that don’t have scales; birds that don’t have ‘wings’ and so on. Students also investigated other characteristics possessed by most members of theses classes. Then in another session after morning tea, we discussed the levels of classification and how scientists use dichotomous keys to identify organisms. Students started looking at the invertebrate specimens in the Micro Marvels kit and used a dichotomous key from the booklet to classify the specimens into their major animal groups. The following week, I brought in 20 invertebrate specimens (numbered 1 – 20) and the students practised using the dichotomous key to classify them. Students learnt how these organisms are grouped on the basis of shared features and how they are different from other groups. 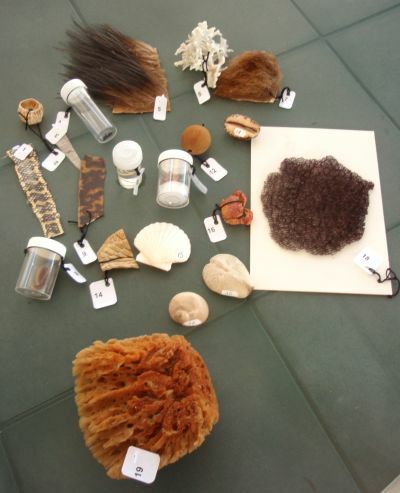 Teachers can collect their own specimens over the year and build up quite a collection. So next time you are at the beach, collect some of those shells and other flotsam that wash up on the shoreline. There could be molluscs, sea urchins, sponges, crabs etcetera. Make sure you dry them out well before putting them into a sealed container to preserve them. 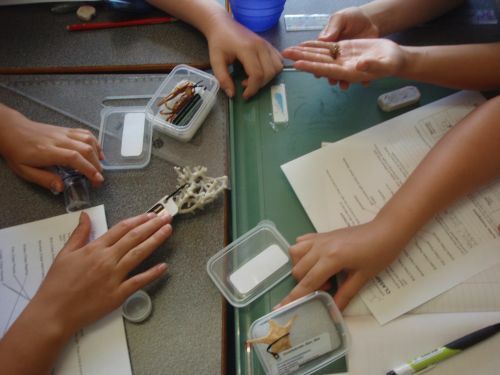 The key that we used was the online interactive CSIRO Invertebrate Key. 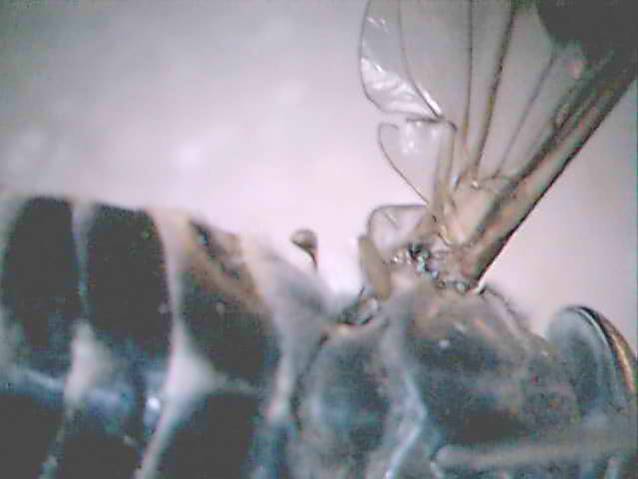 To examine small features of insects such as the rostrum of bugs and halters on flies, the digital microscope in the Micro Marvels was used. Good quality hand lenses can also be used. 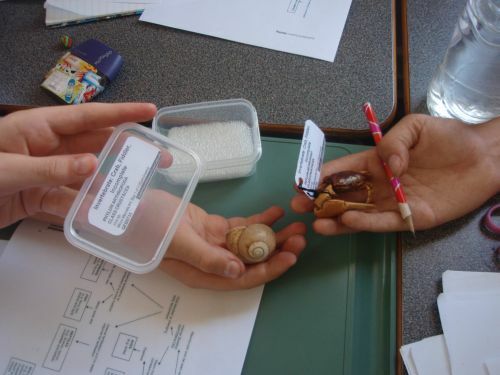 Students can collect their own terrestrial invertebrate specimens. 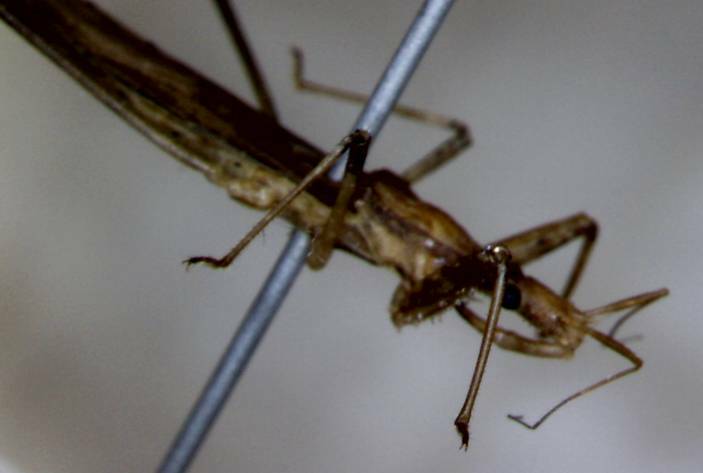 Some instructional videos on this are shown in the Collect Insects section of our Wild Backyards site. Hopefully from this short teaching unit, students will have gained an appreciation for the beauty and diversity of life on Earth. Previous PostSustainability Focus in new Australian CurriculaNext PostNew Quoll on the block!